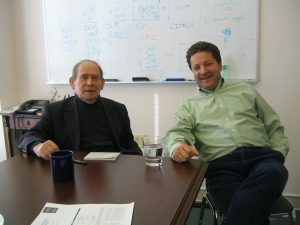 Acidophil is named after its co-founders: Nobel Laureate Sydney Brenner, and scientist, entrepreneur, and investor Philip Goelet. With operations in both the United States (Lutherville, MD) and the United Kingdom (Cambridge). Acidophil is an innovation company that uses technical and business information together with bio-chemical capabilities to create, manage and co-finance new products and biotechnology businesses in human health, agriculture, and animal health. With operations in both the United States (Lutherville, MD) and United Kingdom (Cambridge), Acidophil takes a global approach to innovation, management and investment that reflects the international perspective of its team and founders. Acidophil exploits a virtual business development model to enable capital efficient innovation in collaboration with scientists, entrepreneurs, corporations and investors who are interested in addressing global market needs. Companies created, managed and co-financed by Acidophil include Evobiotics, LLC (Development of novel, antimicrobial compounds to treat bacterial & fungal infections in humans), Chalante Ltd (development of unique technology solutions for problems in the animal health sector), Population Genetic Technologies (PGT, co-founded by Sydney, Philip and Sam Eletr to create technologies enhancing next generation sequencing), Corridor Pharmaceuticals (therapeutic inhibitors of arginase to treat endothelial disorders), ZuvaSyntha (biochemical production of specialty and industrial chemicals) and AgriMetis (discovery and production of crop protection products). Acidophil is currently incubating projects in human therapeutics.